There's a development proposal for tiny homes in Payne-Phalen called the East Yard Cooperative (not to be confused with the "weehouse" project at Payne and Maryland by Alchemy Architects). They would be sandwiched in between the railroad tracks and Bush Ave west of Payne Ave. They also want to repurpose the historic home (Swede Hollow origins) behind 656 Bush to be a community center for the co-op. I suspect they are being encouraged to reuse this building to open up the site east of Payne Avenue for a larger mixed-use development that would integrate with the Bruce Vento Trail (known as the Railroad Island Eco-Village and being promoted by PPL). Really glad that they're preserving the old Swede Hollow house. That was my only hold-up about the Eco-Village proposal. These three houses really stand out at present (very poorly maintained) so this is a big improvement for the neighborhood. Could be a nice site for a redevelopment. It is zoned B2, not sure what that equates to over in Minneapolis. 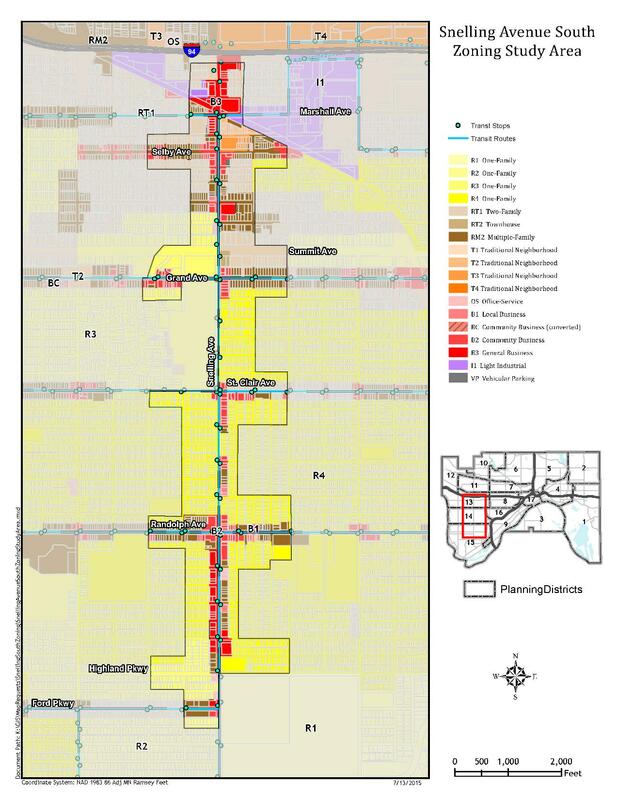 It will be rezoned T2 (traditional neighborhoods, i.e. mixed use) in the South Snelling Rezoning to go before the council sometime soon. Cookie Cart groundbreaking ceremony on Payne Avenue June 29th. Multi-million dollar project. Currently the building is gutted. Two doors down from Brunson's Pub. The Hillcrest golf course in St Paul is closing and the union that owns it (they bought it cheap when it went bankrupt previously) wants to sell it to a developer. (!!!) This could be a wonderful opportunity for the city to extend the street grid in the Hayden Heights area east to McKnight Rd! I was really surprised by the size of the construction site over by Hmong College Prep Academy on Snelling. It's huge! Is that an insult, Bill? Hey everyone, the St Paul City Council is having a hearing on the recommendation of the Snelling Avenue South Zoning Study and its recommendation of rezoning Snelling and its commercial nodes as "Traditional Neighborhood", which allows dense and walkable urban development by right. If there was any meeting everyone on this forum would want to go testify at in favor of something (and bring along whoever you know to do so as well), THIS IS IT. City Council is considering the zoning changes outlined in the Zoning Study and will hold a public hearing on the matter. The public hearing will be held on Wednesday, September 6, 2017 at 5:30 p.m. in the City Council Chambers (Room 300) of City Hall. All comments concerning the draft plan will be heard at this hearing. Following the public hearing, the City Council may make changes to the recommendations and can adopt the zoning changes in full, in part, or not at all. Once the City Council has voted on any zoning change, it goes to the Mayor for final signature. That seems a recipe for a losing lawsuit. I was at the last couple Union Park land use meetings and none have been shown yet that I know of. All rumors and inferences at this time. Some very strong neighbor opposition, largely pointing to some mid century apartments on Marshall and some newer, architecturally boxy buildings built near the St. Thomas campus. Update: renderings and site plans have now been released to the Land Use committee. In essence, it's a 5-story box (with cement board finishing?) with a few balconies, some underground parking, and a bit of an architectural way that it meets the curb at the corner. The two houses at Marshall and Moore (owned by the developer) would be demolished. This demolition will be the sticking point, most likely. Special public meeting with developer at Episcopal Homes has been scheduled for October 30 at 6:30 p.m. My hunch is that this proposal is not going to be popular with the neighbors.